Currently music is taught through a peripatetic teacher from the Herts Music Service. All children are encouraged to participate in singing and music-making lessons. We have established links with the Hertfordshire Music Service who act as the Hub for music provision in the county. 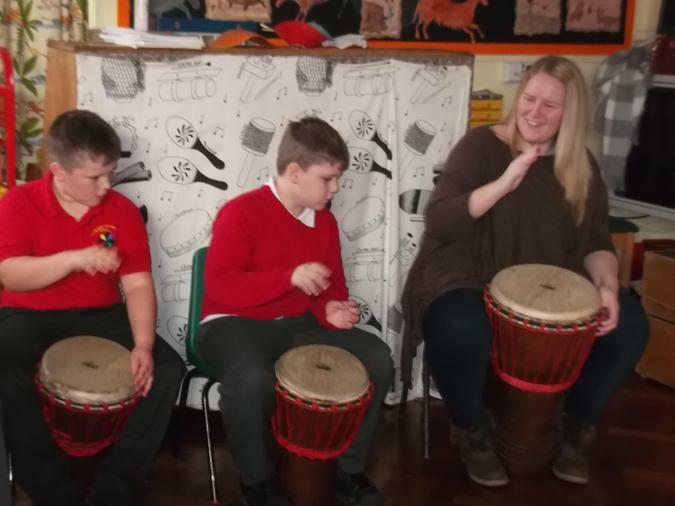 From September 2014 all Year 3/4 children learn the Dj embe drums in weekly sessions run via the ‘First Access' scheme, through the Herts Music Service. We will use ‘Music Express’ as our core scheme for teaching music progression throughout the school. Music and performance are important to school life and we have annual events such as a Harvest Festival, an Easter Assembly and Christmas productions. Musicians are also given opportunities to perform in school assemblies. Friends of Flamstead School "FOFs"